Law, Economics, and Morality examines the possibility of combining economic methodology and deontological morality through explicit and direct incorporation of moral constraints into economic models. 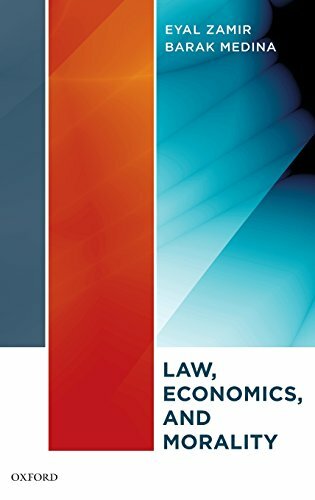 Economic analysis of law is a powerful analytical methodology. However, as a purely consequentialist approach, which determines the desirability of acts and rules solely by assessing the goodness of their outcomes, standard cost-benefit analysis (CBA) is normatively objectionable. Moderate deontology prioritizes such values as autonomy, basic liberties, truth-telling, and promise-keeping over the promotion of good outcomes. It holds that there are constraints on promoting the good. Such constraints may be overridden only if enough good (or bad) is at stake. While moderate deontology conforms to prevailing moral intuitions and legal doctrines, it is arguably lacking in methodological rigor and precision. Eyal Zamir and Barak Medina argue that the normative flaws of economic analysis can be rectified without relinquishing its methodological advantages and that moral constraints can be formalized so as to make their analysis more rigorous. They discuss various substantive and methodological choices involved in modeling deontological constraints. Zamir and Medina propose to determine the permissibility of any act or rule infringing a deontological constraint by means of mathematical threshold functions. Law, Economics, and Morality presents the general structure of threshold functions, analyzes their elements and addresses possible objections to this proposal. It then illustrates the implementation of constrained CBA in several legal fields, including contract law, freedom of speech, antidiscrimination law, the fight against terrorism, and legal paternalism.